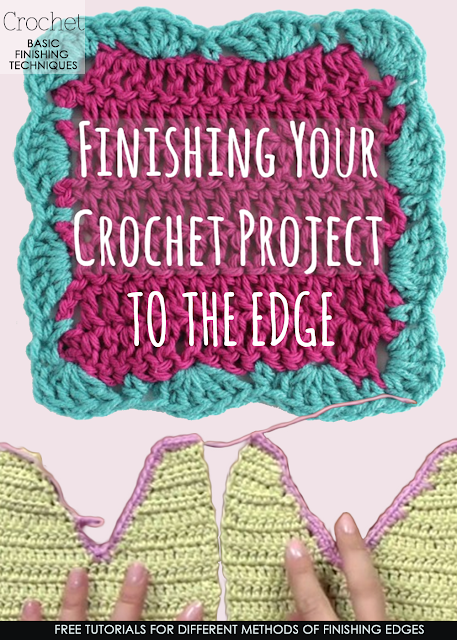 Knowing how to properly finish crochet pieces to be seamed is probably as important as the quality of your crochet work. 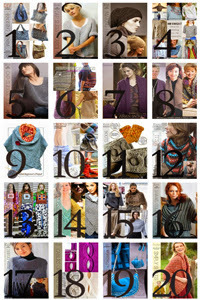 A garment that is sewn together properly will hang better because the seams match and don't pucker. When I first started to crochet garments, I was always in a hurry to wear the garment so the garment was sewn up haphazardly and much to my disappointment didn't look handmade, just homemade. Throughout my career, I was lucky enough to meet people who would give me tips on how to make a garment look professionally finished. Some techniques I developed on my own through trial and error. This, in some ways, was the best way as it taught me patience and how to adapt what I already knew to different yarns and situations. Taking the time and yes it does take time to even out edges will in the end save you time and a whole pile of headaches when you go to sew the pieces together. 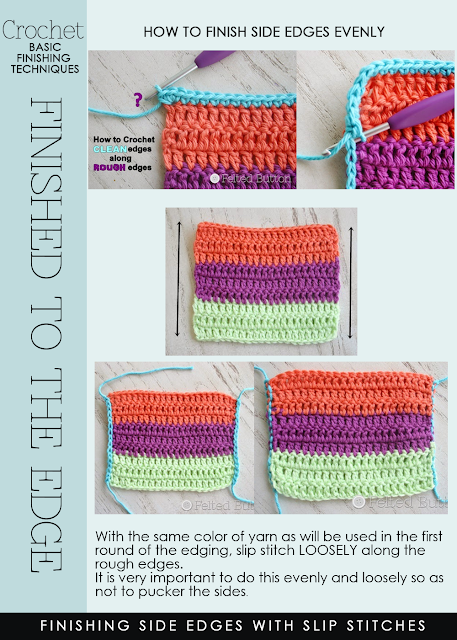 Even though you add a bit of width, nothing to get too excited about, you now have the ability to match stitches from one edge to the other edge. 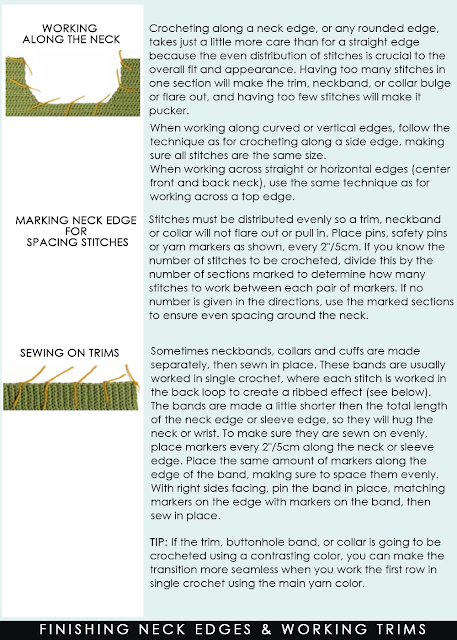 Keep in mind to have the same number of stitches on each side. 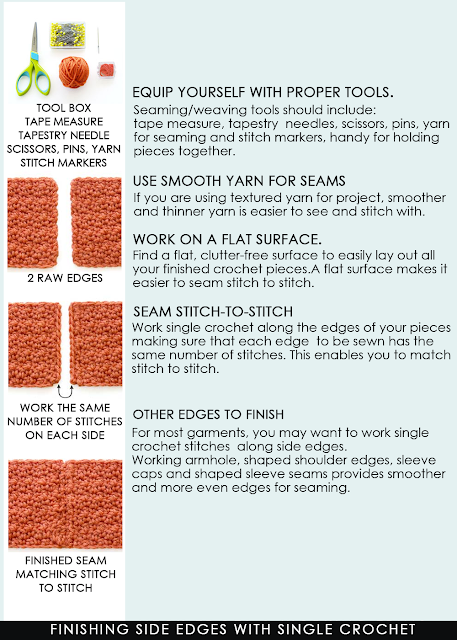 Read further for very helpful instructions, tutorials and videos. 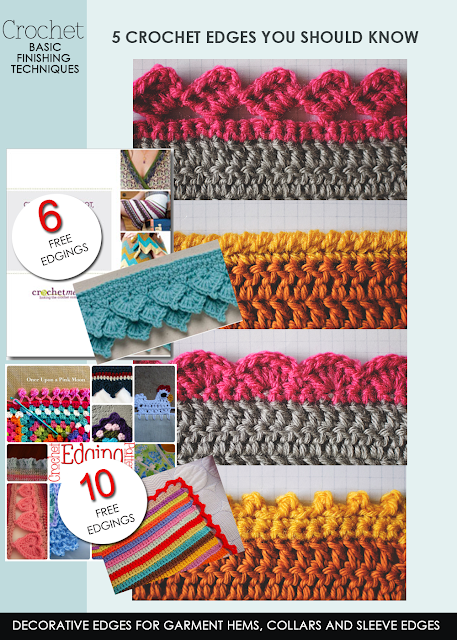 If you find that you would like to finish the edges with a more decorative finish, there are 21 free edge patterns that are easy and good to have in your library of stitch patterns.